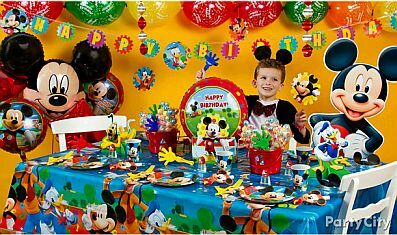 One of the favorite characters from the children of yesterday, today and probably tomorrow, is the adventurous Mickey Mouse, so if your little one is one of them, what better way to decorate your birthday party with this fun mouse? 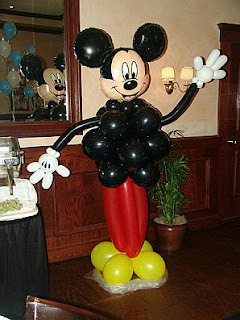 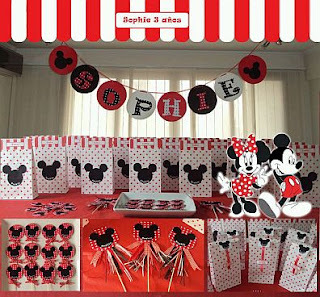 Nothing better than to welcome the guests of the party with a cute Mickey Mouse made with balloons. 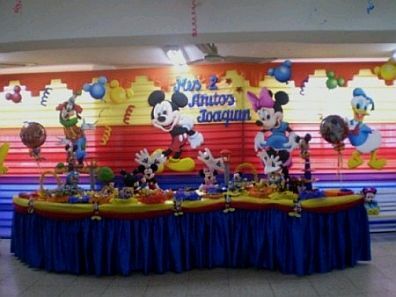 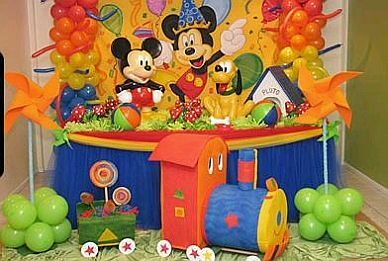 Decoration with balloons and columns of Mickey and his friends in the front. 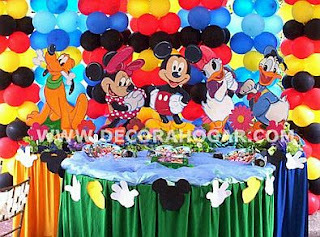 Another idea is to use some decorative images of Mickey Mouse and a striking tablecloth with the same character, the result is very good, as you can see. 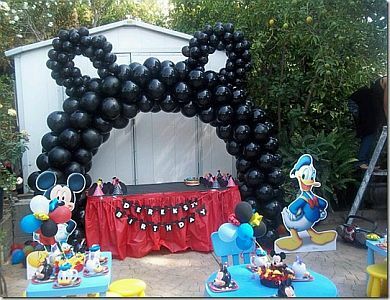 An interesting proposal is a black balloon arch with the silhouette of the face and ears of Mickey Mouse. 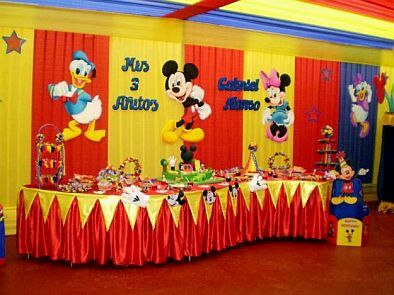 If you prefer traditional draperies, the result will not be disappointed, however, to combine with a good tablecloth is very cute. 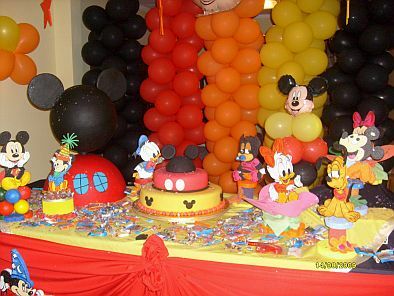 Pretty proposal, which not only provides columns of balloons, Mickey Mouse and Pluto, but the details of the bottom are equally original and beautiful. 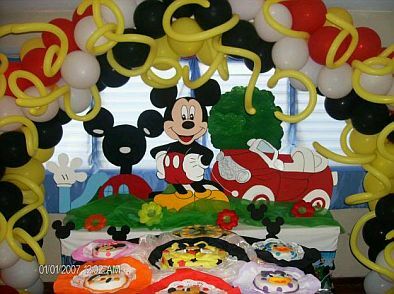 Great idea, a round balloon arch adorned with a series of long balloons as if they were entangled, are the perfect setting for the image of Mickey Mouse, his house and his car. Another proposal draperies with horizontal lines above which has a Mickey Mouse and his friends. If you want something more original and unique, how about the next picture? just Mickey and Minnie Mouse and classic decorations with mouse ears. Finally another proposal with columns as backdrop balloons and background decorations with Mickey Mouse and his friends on the main table.